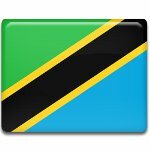 Saba Saba Day is a public holiday in Tanzania celebrated on July 7. It commemorates the creation of the Tanganyika African National Union in 1954. On this day, the Dar es Salaam International Trade Fair is held. The Tanganyika African National Union (TANU) was the political party that struggled for independence of Tanganyika (now the mainland of Tanzania). It was founded in July 1954 by Julius Nyerere, who would later become the first President of Tanzania. TANU had been the ruling party of Tanzania until 1977, when it was replaced with Chama Cha Mapinduzi. The anniversary of the creation of TAMU was declared a public holiday known as Saba Saba Day. “Saba Saba” is translated from Swahili as “seven seven”, it is a reference to the date of the holiday, the seventh day of the seventh month. The principal event of Saba Saba Day is the Dar es Salaam International Trade Fair (DITF). It was first held in 1963. The fair is organized by the Board of External Trade. It focuses on fostering global business partnership. The event is also supported by the Ministry of Industry, Trade and Marketing and the Tanzania Chamber of Commerce, Industry and Agriculture as well as other Tanzanian institutions.